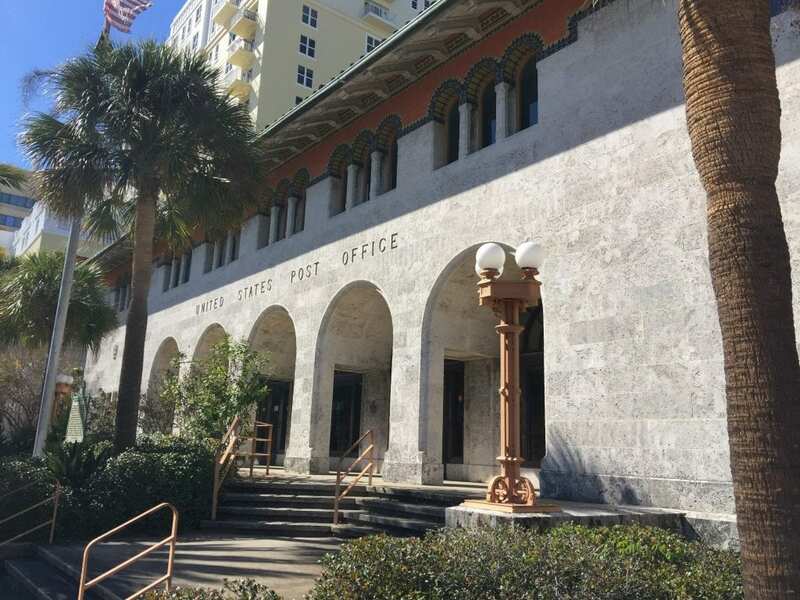 The Cleveland Street United States Post Office, or simply Cleveland Street Post Office, is a historic site in Clearwater, Florida. It is located at 650 Cleveland Street. It was dedicated on October 9, 1933. It was built by the Walt and Sinclair construction firm in a Mediterranean-Revival architecture style. On August 7, 1980, it was added to the U.S. National Register of Historic Places.